Nineteen volunteer fire departments on the East End of Long Island responded to an alarm that sounded shortly after six A.M. on December 15. A stretch of stores along Main Street in Sag Harbor was burning, the flames accelerated by whipping winds that the local fire chief, Thomas Gardella, later described as acting “like a blowtorch.” Working at first in the winter dark and then in smoke-choked early morning light, the dozens of firefighters needed more than four hours to put the fire out. Temperatures were so cold that water from the hoses froze on their uniforms and trucks. No one was killed, thanks in part to a Sag Harbor police officer, Randy Seyert, who went through the smoke to rouse two sleeping residents in the apartments above the stores. They have nonetheless lost everything, as have the owners of five local businesses. Ad hoc recovery funds have been gathered to help alleviate the shock of total loss. 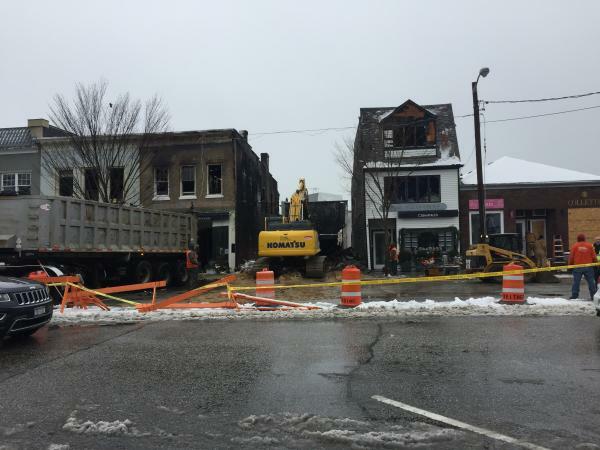 The destruction of one building, the Sag Harbor Cinema, has left a particular sting. Its white stucco facade and red neon Art Deco lettering were the face of the village. The black rectangular hole that now stands along Main Street is a public injury, as if someone has ripped out an eye or a tooth. 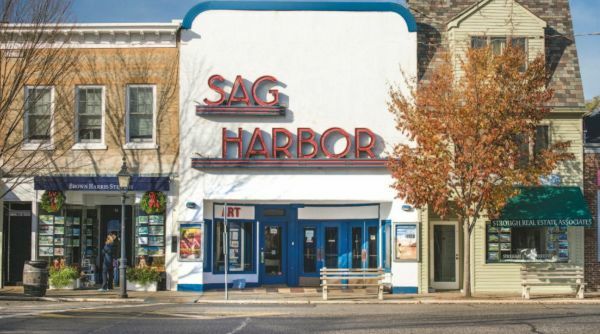 Certain places retain their grip on memory out of all proportion to their social value or their function in your life, and the Sag Harbor Cinema did that for me. In an architectural landscape like New York, where nothing is safe from the forces of real-estate development, the theater had somehow escaped improvements. Its appearance and mode of operation changed barely at all in the more than three decades I was a patron. A proud ignorance of upheavals happening elsewhere in the industry was one source of the comfort the cinema provided. Going to a movie there felt like stepping into an Edward Hopper painting. If the outside of the building represented American optimism in the Art Deco era, the smooth white concave facade and elegant signage tooting a jaunty, nautical theme, the interior was reminiscent of the Great Depression. The atmosphere was dim, as if the owner was afraid of being cut off by the power company. Back corners of the theater were so dark and shadowy it was probably better that no light shined on them. Sitting there in the minutes before a movie began, illuminated by an umber glow from the lamps, felt like waiting in a darkroom for a print to be developed. The space was barnlike and drafty. During the winter, patrons going to see a movie learned to wear extra layers of clothing. In no season was the smell—a combination of disinfectant and heating oil—attractive. It was nonetheless unmistakable. A German friend, who compares the smell to that of the London Underground, says that she could be blindfolded and still recognize the aroma of the Sag Harbor Cinema. The building was originally known as George’s Theater, a vaudeville house that opened in 1915. Renamed the Elite in 1919, when it switched to showing movies, it did not become the Sag Harbor Cinema until 1978, when its present owner, Gerald Mallow, took over. Since then, he and his programmers have specialized in independent American and foreign films, making the place the most reliable alternative to mainstream fare for fifty miles. Sometimes a woman would be there to tear your ticket—for more than a decade it was Mrs. Mortensen; sometimes there wasn’t anyone. Sometimes the popcorn stand had an employee behind the counter; sometimes it was unstaffed. This was either charming or enraging, depending on your level of hunger. In any case, the selection was limited to popcorn, a few varieties of candy, and sodas. Bottled water became an option only about ten years ago. You might see no other souls except your fellow moviegoers. Often there were only a few of those as well. The theater seated about two hundred, but I never saw it full or even half full. Everyone from the area has stories of seeing films with only a couple of other patrons. Mr. Mallow compounded the onus of running a first-run independent-movie house in today’s cutthroat world of digital streaming by refusing to enhance his revenue stream with the typical blandishments. This militant attitude counted for a lot in the minds of many regulars, myself included. However irritating some aspects of the movie experience could be at the Sag Harbor Cinema, you were never forced to endure the far more irritating aspects found at almost any other movie theater today. There were no ads before the film started, not even any previews. When the theater darkened and the first beams of light struck the screen, you knew you would be watching the film you had come to see and nothing else. In any contemporary multiplex, even if well insulated, noises from a simultaneously playing movie usually leak through the walls. Only last week, as I was watching La La Land at the Battery Park cinema in Lower Manhattan, deep, rumbling explosions from Rogue One were a continual second sound track on top of the melancholy jazz score I was trying to enjoy. 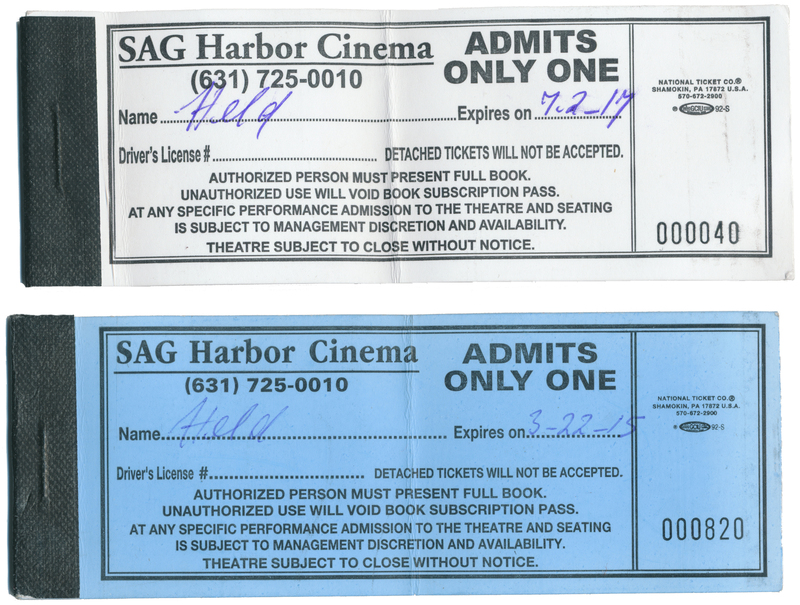 Distractions like that never happened at the Sag Harbor Cinema, where only one film played at a time. Best of all, the features of watching a movie there felt like an authentic, if peculiar, reaction to economic circumstances. The retro interior wasn’t twee or deliberately nostalgic. It was retro because it was genuinely a relic from another time. 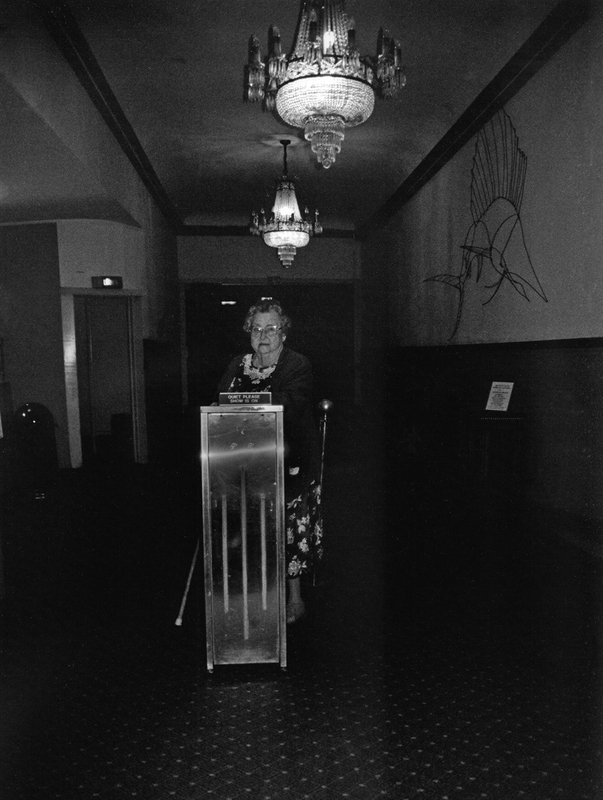 The foyers to the bathrooms had dressing tables with low-wattage lamps, a touch of gentility that reflected thrift rather than a hip decorator’s careful mise-en-scène. It’s strange, but I remember the place more vividly than I do any of the movies I saw there, and many were wonderful: Stranger than Paradise, Reservoir Dogs, The Usual Suspects, The Ballad of Jack and Rose, The Lives of Others, Happy-Go-Lucky, Boyhood. Like much of the local audience, I had become less faithful in recent years, preferring to stream new films on-demand at home. But a few weeks ago, I drove with my wife and a friend to see Moonlight, available neither online nor at any other theater on the East End. My wife left five minutes after the beginning because—grim irony—she thought she might have left a pot on the stove and feared our house would burn down. I stayed, and the memory of that sad and moody film seems like an elegy for a place that no longer exists. Despite Mr. Mallow’s laudable efforts to keep his cinema from becoming like every other one, casting him in a role as a village hero is complicated. Several plans were put forward over the years to preserve the institution, all of which he rejected. He had a home in Florida and maintained an unrealistic idea of the theater’s value in today’s market. In 2008, he put it on the block for twelve million dollars and had lately raised the asking price to fourteen million. Sag Harbor and the East End would celebrate its rebirth. The theater’s sign was saved from the fire and will probably reappear on one building or another in the village. But the musty vaudeville house with the dark, secret corners, where one of Hopper’s uniformed ushers might once have stood, is gone forever. Even if funds are raised for rebuilding, it’s doubtful that Mr. Mallow or any new owner could re-create the cinema as it was. No rational person would want to. Some tickets can’t be redeemed. Richard B. Woodward is an arts critic in New York City.